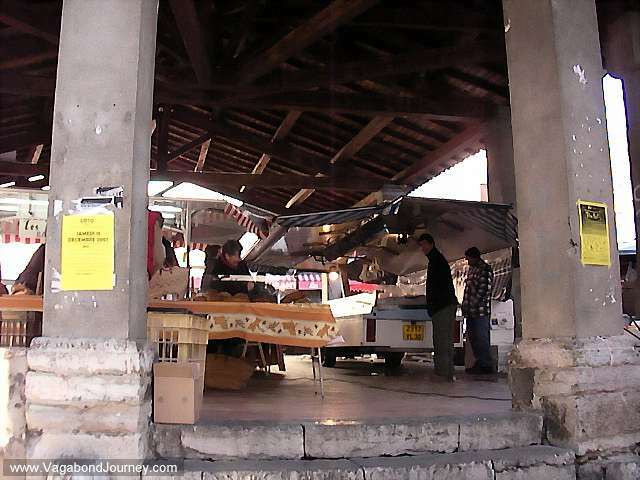 Market in Anduze, France that is over a thousand years old. 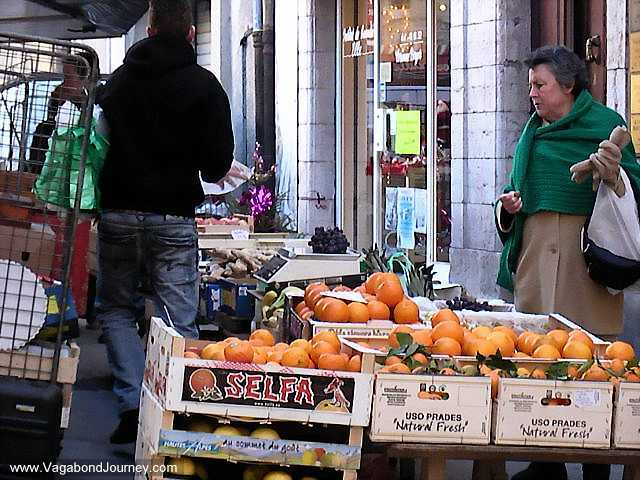 Oranges being sold and an old French woman trying to pick them out. 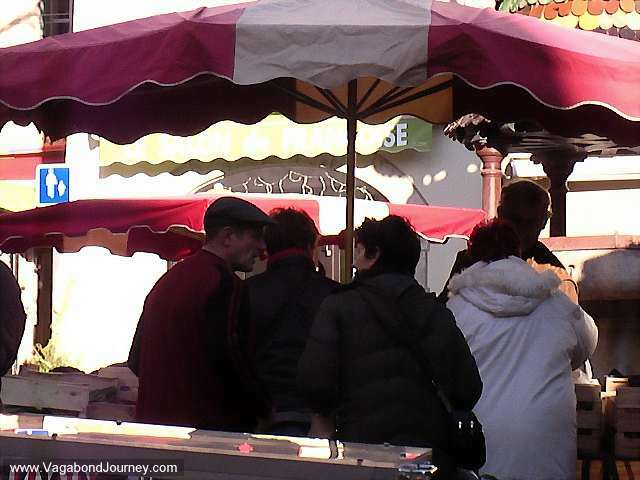 French people talking about the day Southern France. 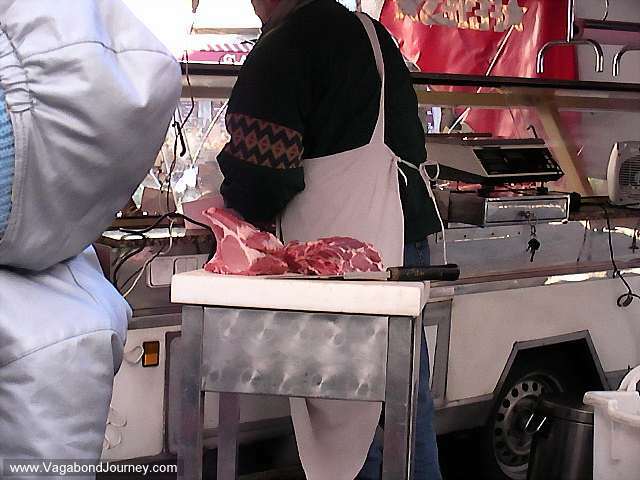 Butcher with meat in southern France. 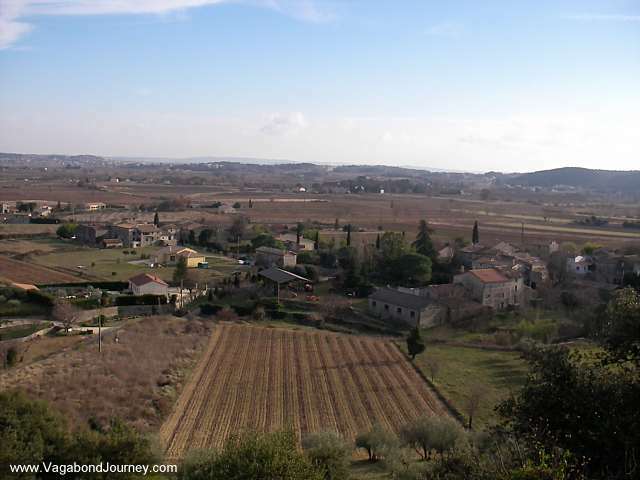 These travel photographs were taken in the south of France at the end of 2007. Graffiti in France. This art is on a highway overpass. 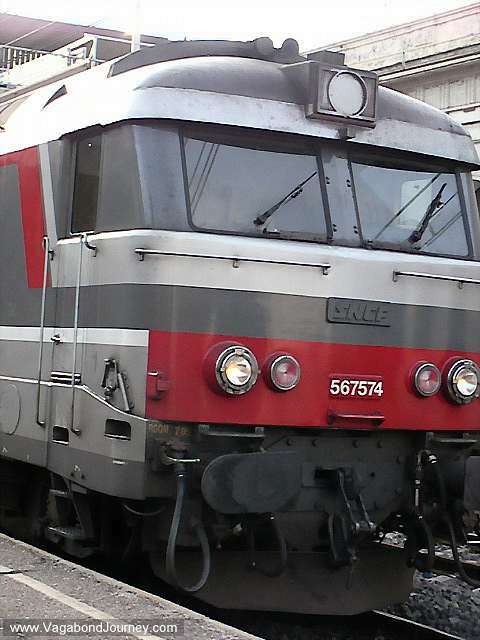 Train in France that is really expensive. 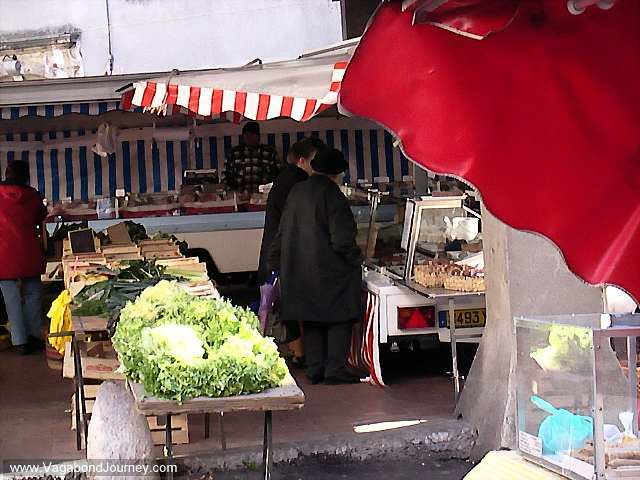 I had to hitch hike in this country because I could not afford the public transportation. 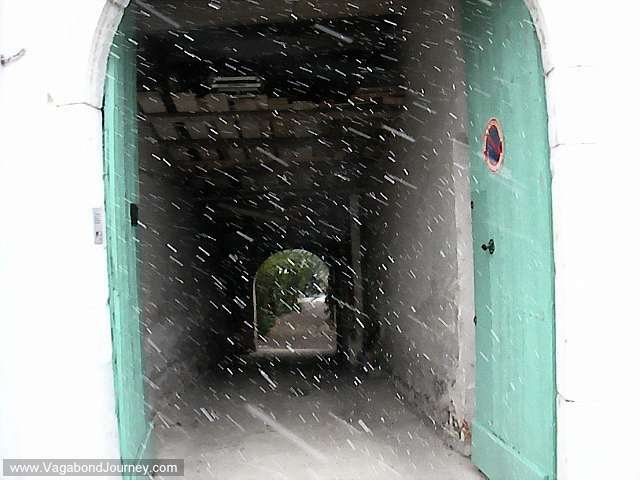 Snow storm in the south of France. 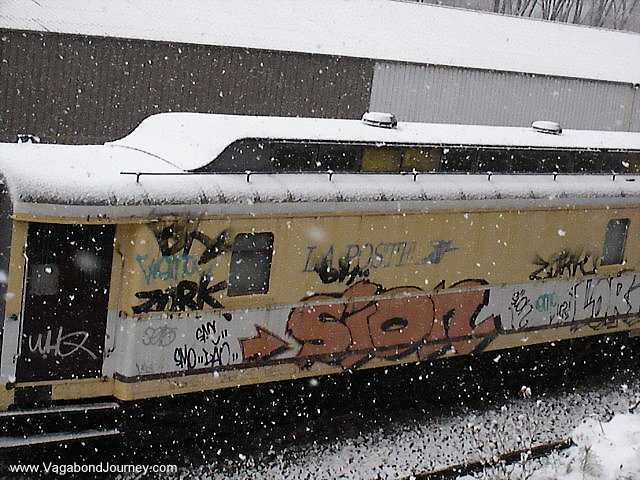 Snow over graffiti in the French winter. The beautiful countryside of rural France. This is a good country for hiking after all.